Like the postscript tells, i missed on MEGA rarity..second of July Pekka Eriksson found second Stilt Sandpiper for Finland. Very shortly after first twitchers saw the bird, it took off and that delayed our start. After one and a half hours bird was again in the same spot and then we decide to go. We drove about 40km when bird took off second time and that was enough for us. We turned around. Next morning there was over hundred people but bird was not there. 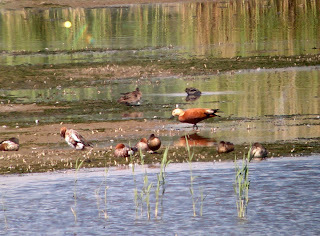 Congratulations for all who saw the bird and of course for the finder. 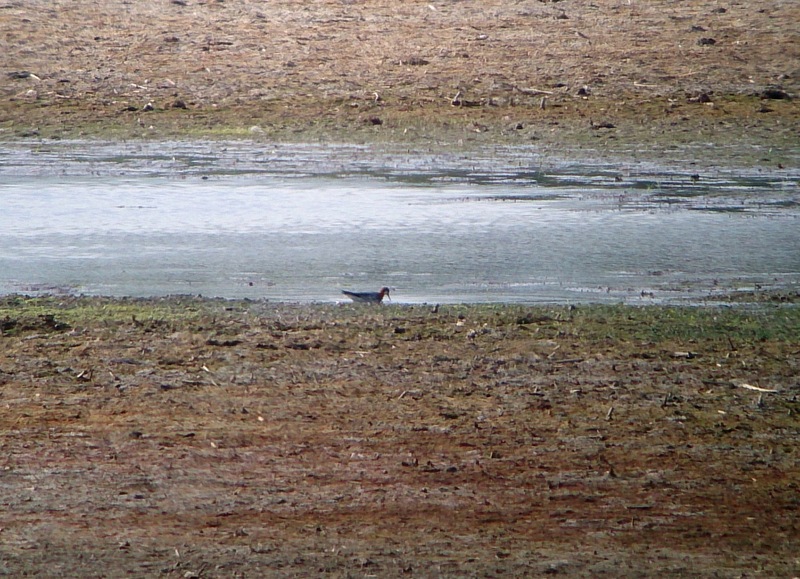 Same day before this rarity came up i twitched Red-necked Phalarope because it was missing from my year-list. Nice looking female was at Maari bird-tower meadow having some late dinner. 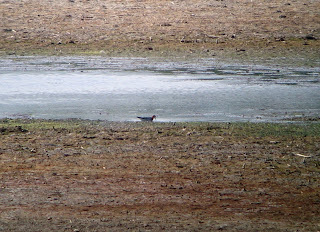 Red-necked Phalarope, photo taken by my mobile trough my telescope. Today i slept quite late and when i woke up i checked our alarm system. 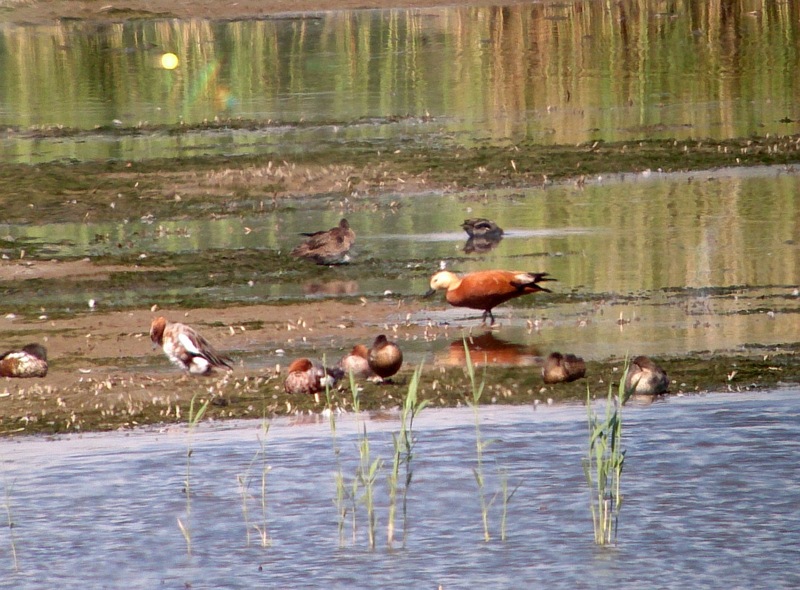 Ruddy Shelduck in same place where the Phalarope was! Quickly some clothes on and i drove to the tower. Luckily the bird was still there and i met some friends there also. Thanks for the company Pasi, Pekka and others! Here´s a photo if the bird. Nice looking bird! Again photo with my mobile trough the telescope. This was also Finnish tick for me! After this my year-tick number is 236, so im only six behind my old record 242 and there is long and waited autumn still coming! Next weekend we are going to Sarinas summer house in Ruokolahti. I hope i found some nice birds around that area.